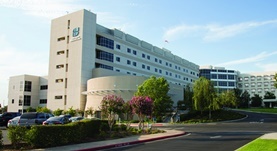 Dr. John Gasman graduated from the Mayo Medical School and completed both his internship and fellowship program at the Stanford University. He is specialized in Pulmonology and board certified in Critical Care Medicine and Pulmonary Disease. 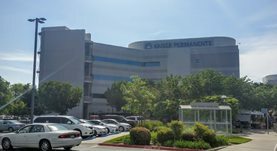 Dr. Gasman has been in practice for more than 20 years and is affiliated with the Kaiser Permanente Fresno Medical Center and St. Agnes Medical Center. During his career, he has also contributed to 8 clinical research publications. Dr. John Gasman has contributed to 3 publications. Drs gasman and varon respond. Gasman, J. D., Varon, J.; West J Med. 1991 Jun. Pulmonary infections after bone marrow transplantation: clinical and radiographic findings. Leung, A. N., Gosselin, M. V., Napper, C. H., Braun, S. G., Hu, W. W., Wong, R. M., Gasman, J.; Radiology. 1999 Mar. Hazards with both determining and utilizing oxygen consumption measurements in the management of critically ill patients. Gasman, J. D., Ruoss, S. J., Fishman, R. S., Rizk, N. W., Raffin, T. A.; Crit Care Med. 1996 Jan.